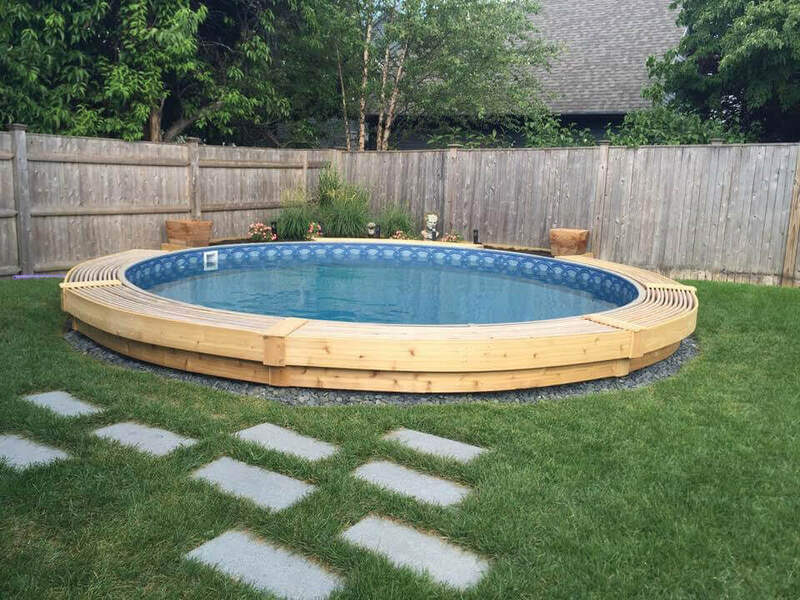 Want the custom inground look for a lot less money? 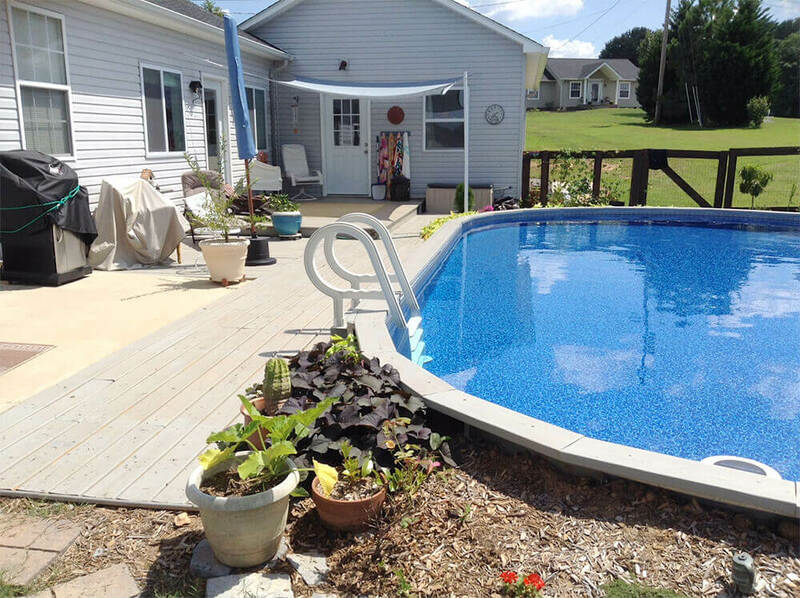 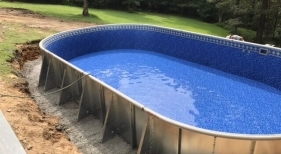 Semi-inground pools combine benefits of both above ground and inground swimming pools. 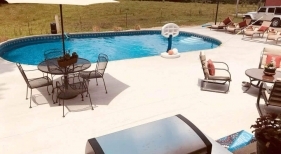 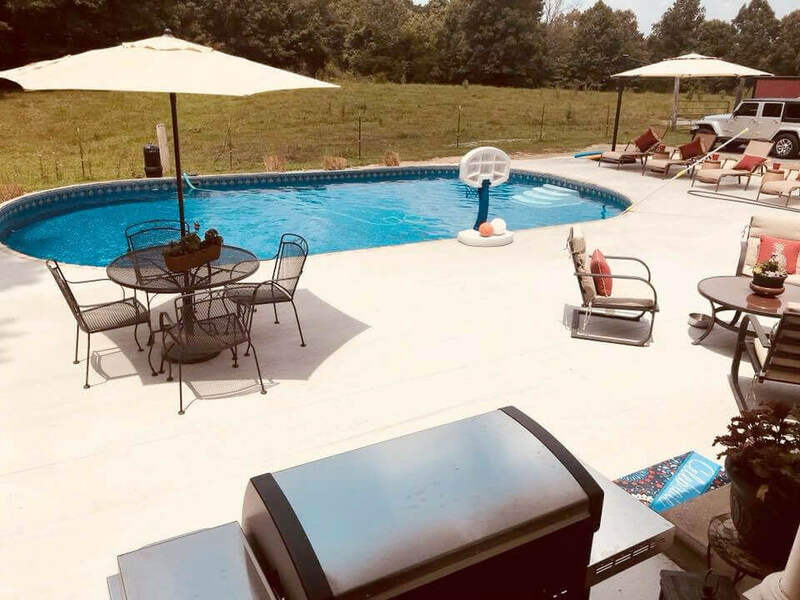 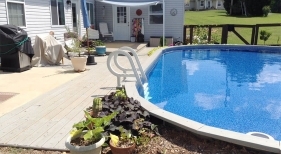 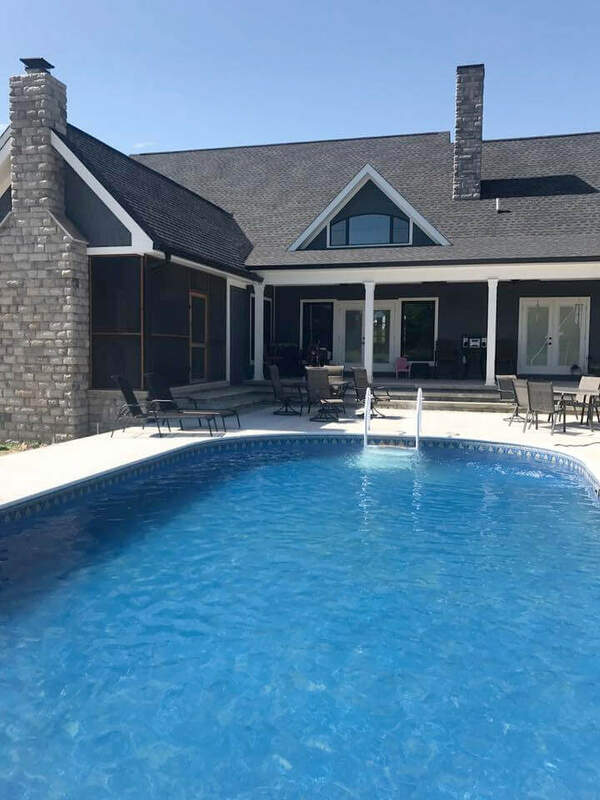 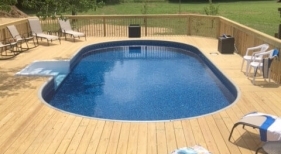 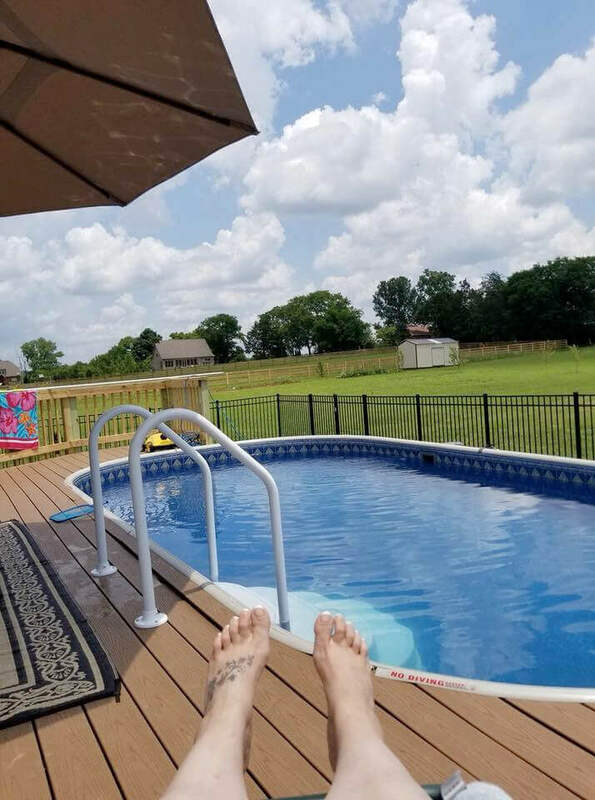 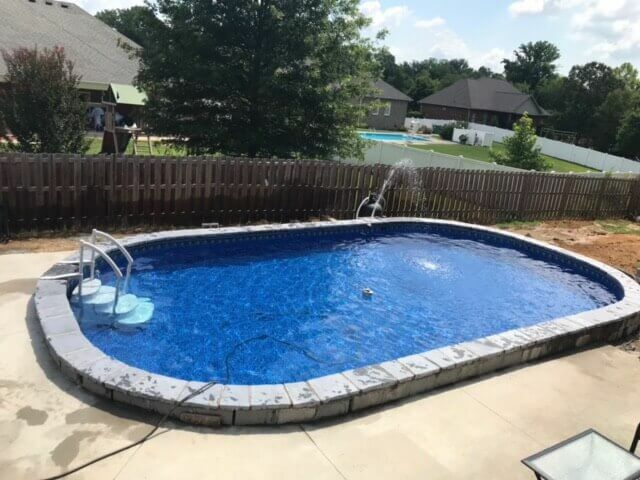 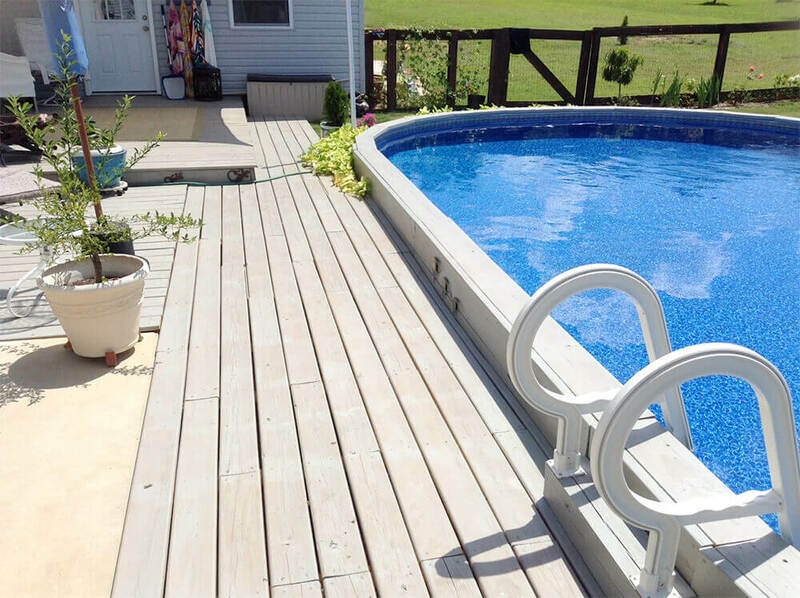 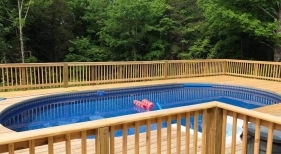 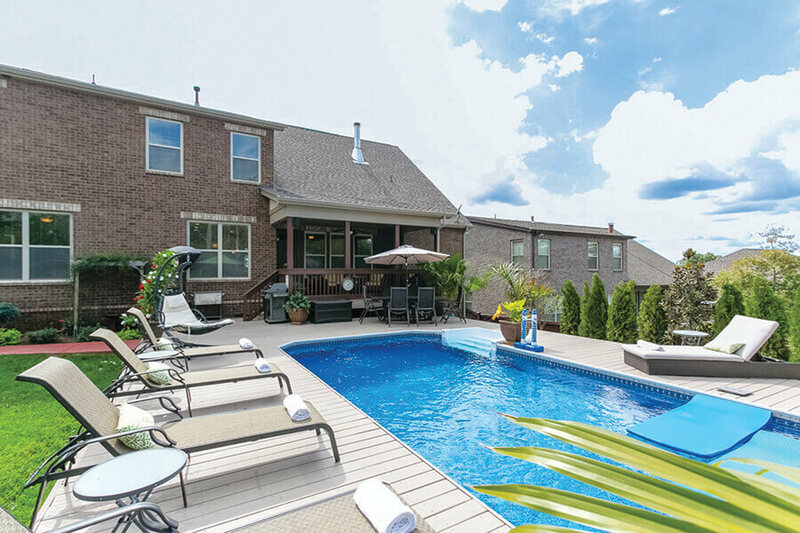 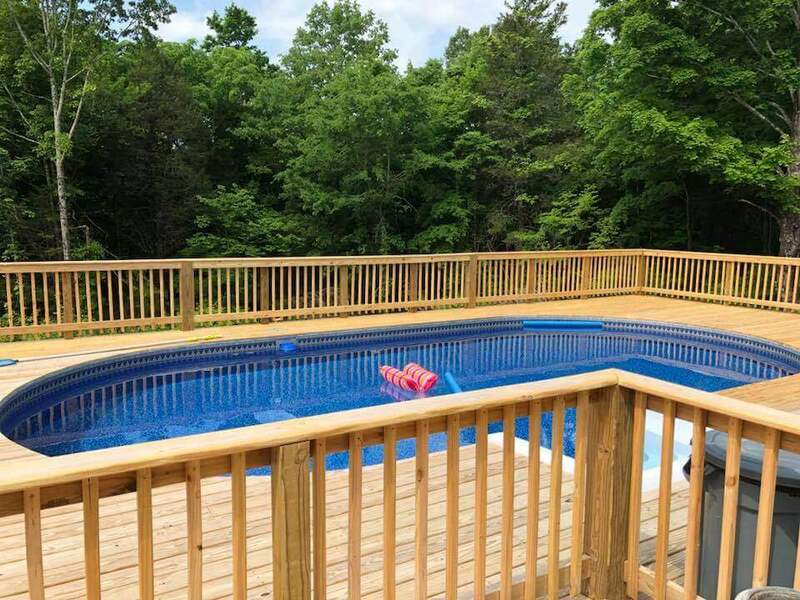 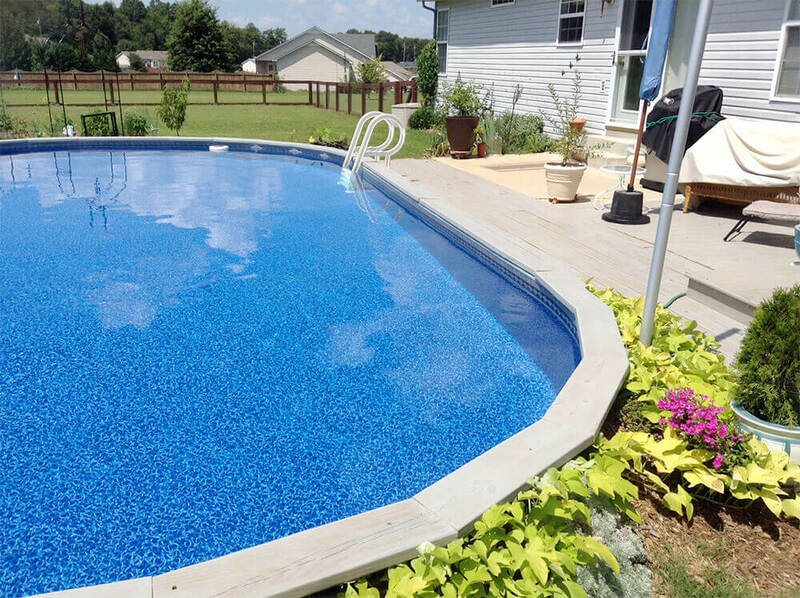 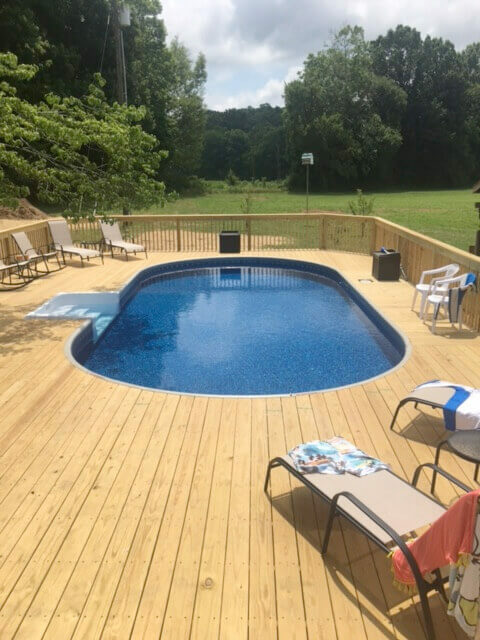 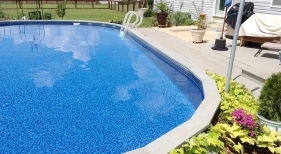 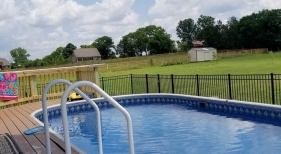 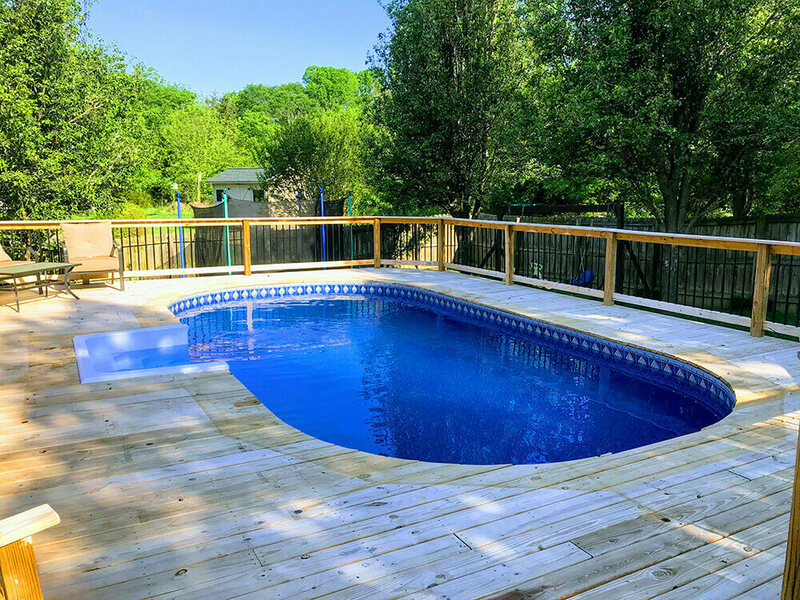 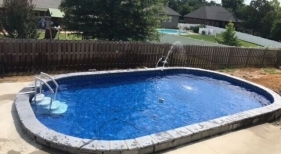 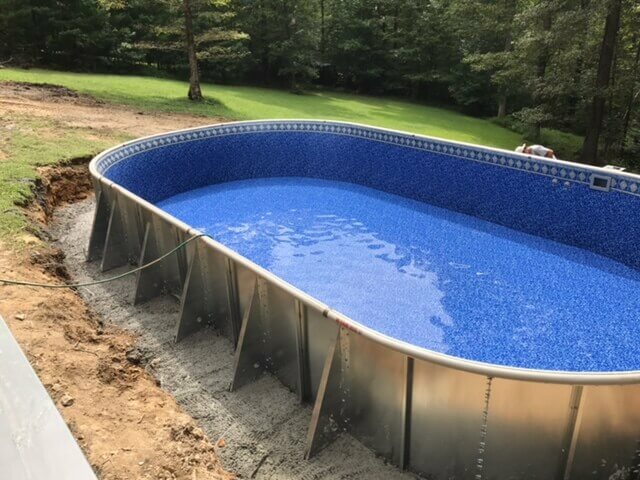 They are more customizable than above ground pools with features such as decking or pavers that can be added to create the appearance of an inground pool but still have a lower cost to build and maintain. 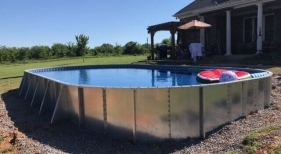 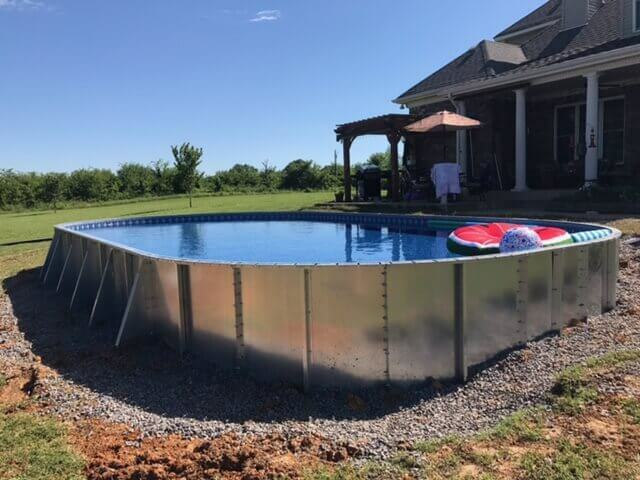 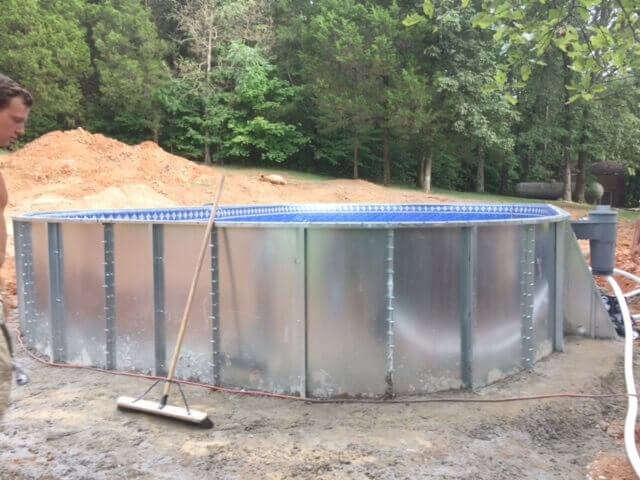 Crown Pools is proud to offer the Stealth, the best brand of steel wall semi-inground pools in the industry. 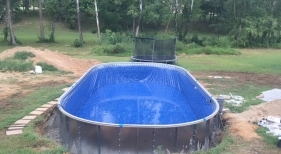 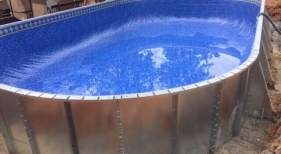 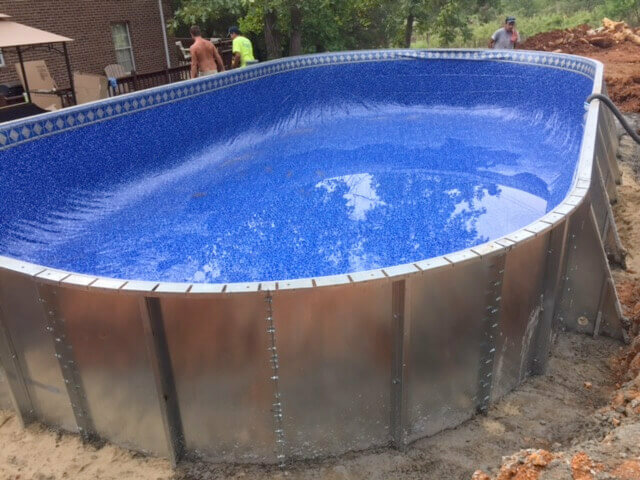 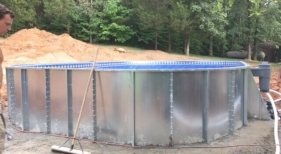 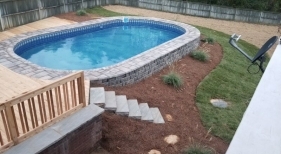 The installation process for a semi-inground pool is only a 1-3 day process. 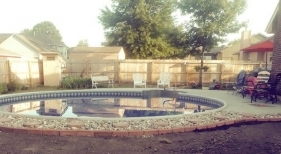 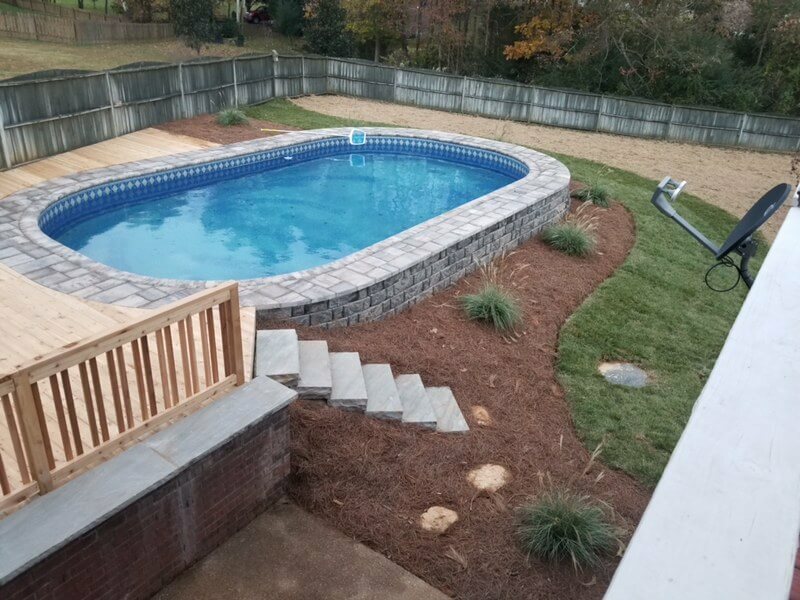 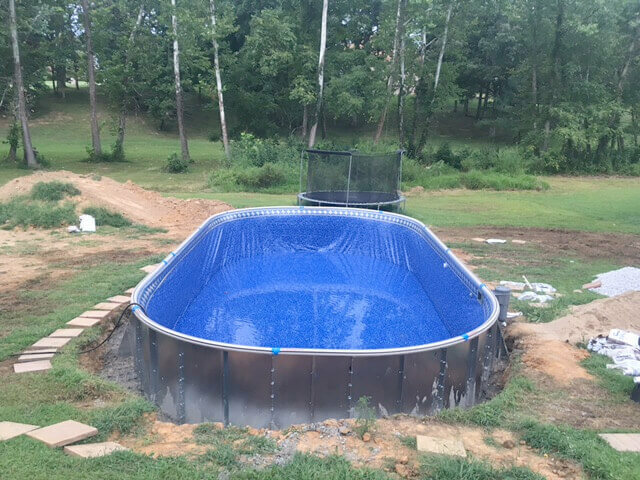 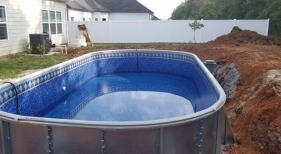 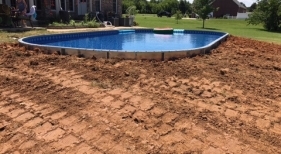 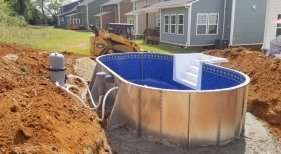 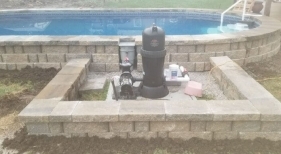 Crown Pools can handle everything from the excavation, installation, backfill, dirt removal, and all future maintenance and services for the new pool.